We had such a great time this weekend watching one of my sorority sisters tie the knot! 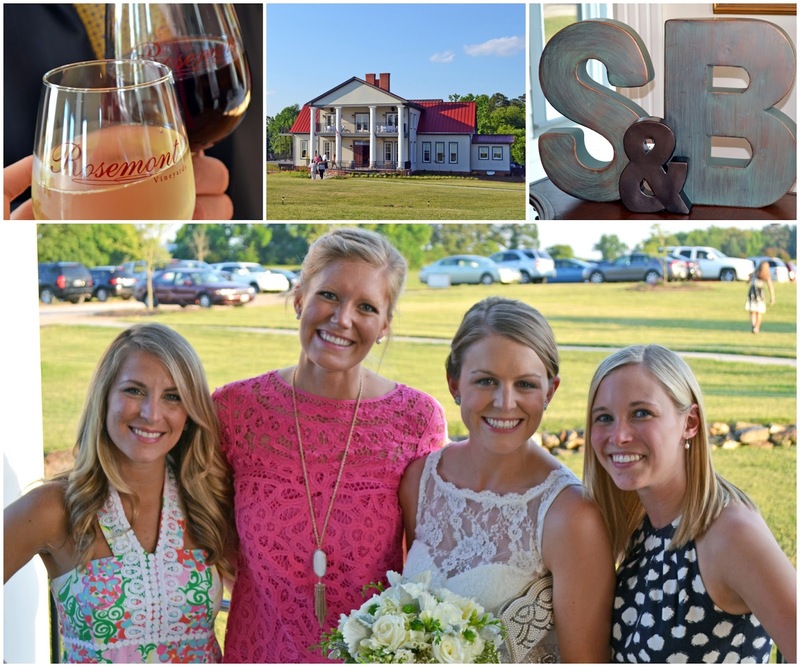 We all celebrated at Rosemont Vineyard which was such a gorgeous venue. Everything about the night was wonderful- from the weather, to the company, to the fun tunes the band played and the dancing that ensued! Congratulations Sarah and Blake, we love you!